They deliver outstanding Bluetooth wireless range and hands-free performance, but you'll want to plug them in to get the best sound. Venerable French audio company Focal is taking its decades of high-end audio experience to design a line of headphones geared towards mere mortals with modest financial means. The Spark and Spark Wireless have been aimed at the in-ear-monitor crowd, while the Focal Listen Wireless, the focus of this review, looks to lure over-the-ear headphone fans. The company is perhaps better known for its acclaimed high-end, high-performance audiophile products. How high end? Well, let's just say that the company’s $180,000 Utopia III Grande EM loudspeakers and $3,999 Utopia headphones aren’t for the faint of wallet. The 300-gram Listen Wireless is an over-the-ear, closed back headphone design. A 1-37/64-inch electrodynamic mylar titanium driver is rated to deliver frequency response of 15Hz to 22kHz. The 22mm thick memory foam ear pads sure are comfortable. I wore them for long and short stints at home and while walking on New York’s city streets and riding the subways. My ears did tend to built-up heat and mild sweat. The memory foam pads provided excellent passive noise isolation. 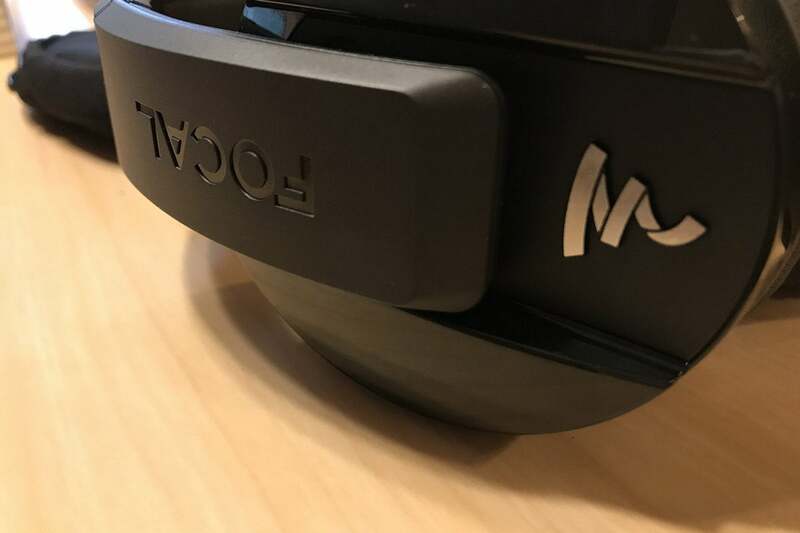 If you’re looking to travel with the Focals, they fold just above the ear cups. The ear cups themselves, however, don’t rotate. Consequently you’re left with a compact but bulky package. If the ear cups had swiveled, you’d have a better chance of fitting them into a thinner backpack pocket or purse. While these cans look cool, every part of the headphone seems to be plastic—including the headband and hinges. While that’s not uncommon at this price-point, there are many headphones that do include metal parts. The all-plastic construction might cheapen the look and feel of the product for some consumers. At the very least, I would have liked to see the headband made of metal. I was hoping for more from a boutique manufacturer that prides itself on craftsmanship and design. 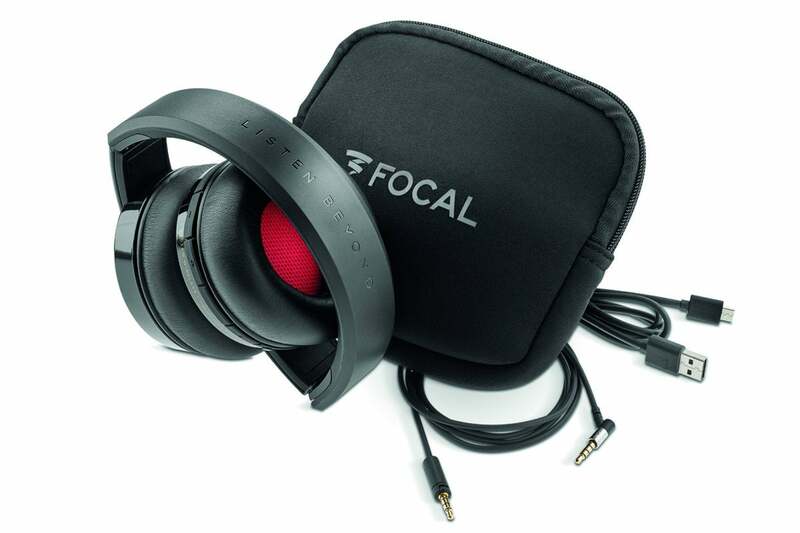 The Focal Listen Wireless fold into a compact footprint. I did stretch out the headphone considerably to see if they creaked or would be in danger of cracking. I was surprised by their flexibility and how far I could bend them. This gave me hope that the all-plastic design will live through some wear and tear. The Focal Listen supports Bluetooth 4.1. I consistently got impressive wireless performance up to—and sometimes beyond—50 feet with direct line of sight. If I was relatively close—within about 20 feet—of my iPhone 7, I could turn a corner or go inside a room without losing wireless connectivity. Of course, at longer distances, once I turned a corner or another large object got in the way, all bets were off. You’ll get up to 20 hours of wireless music listening. If the juice runs out, it will take just about three hours to recharge. You can use the 3.5mm cable anytime to listen to the Focal Listen as a traditional headphone. And if you want the best sonic performance that's what you should do. The ear pads are made of memory foam and the underside of the headband is a rubber cushion. While Bluetooth pairing on the iPhone was straightforward, the Listen Wireless has another trick up its sleeve. These cans support NFC (Near Field Communications) pairing, and it lets you pair your headphones simply by tapping them to a compatible device. Among the high-res audio players in my repertoire, Sony’s Walkman NWZ-A17 supports NFC pairing; but for whatever reason, I wasn’t able to pair the two successfully via NFC. Sometimes tech doesn't work the way it should. The Listen Wireless support the aptX codec for near CD-quality wireless playback. Your source device will also need to support aptX for you to take advantage of this feature. The Listen Wireless do not support aptX HD, which will stream high-res music files up to 24-bit resolution and a 48kHz sampling rate. The Focal Listen Wireless has an omnidirectional microphone for Siri commands and phone calls. Hands-free voice calls were outstanding. Callers on the other end had no problems hearing me clearly—even when I was a good 30 feet away from my iPhone. Perhaps jaded by some recent headphones with lackluster microphone performance, I kept asking callers if they could hear me OK. Each time, people on the other end told me that the audio quality was great. Focal’s rubber-coated buttons are large and run around the perimeter of the right ear cup. Holding the right ear cup, you’ll find the volume up and down near your thumb. Track forward, play/pause, and previous track sit near your index finger. I’ve grown to like this arrangement across various headphones, but I didn't like them in this case. My biggest complaint is that you can’t easily tell which button is which instantly by touch. You need to slide your fingers around to get your orientation. Even though the buttons sit slightly higher than the ear cup, the rounded design makes it tough to distinguish one button from another by touch. Other headphone manufacturers will clearly protrude one button with a triangular point or make the buttons different shapes to give you distinctive tactile cues to help you find things quickly. Control buttons are located on the right ear cup. A soft-shell carrying case, a micro-USB charging cable, a 3.5mm wired adapter, and a two-prong airline adapter round out the included accessories. I want to make an important note that the 3.5mm adapter takes some effort to plug into the headphone. You’ll initially encounter friction from the cable’s rubber sheath making you think that it’s plugged in, but it's not. You’ll need to give it an extra push and then you’ll feel it click into its appointed slot. 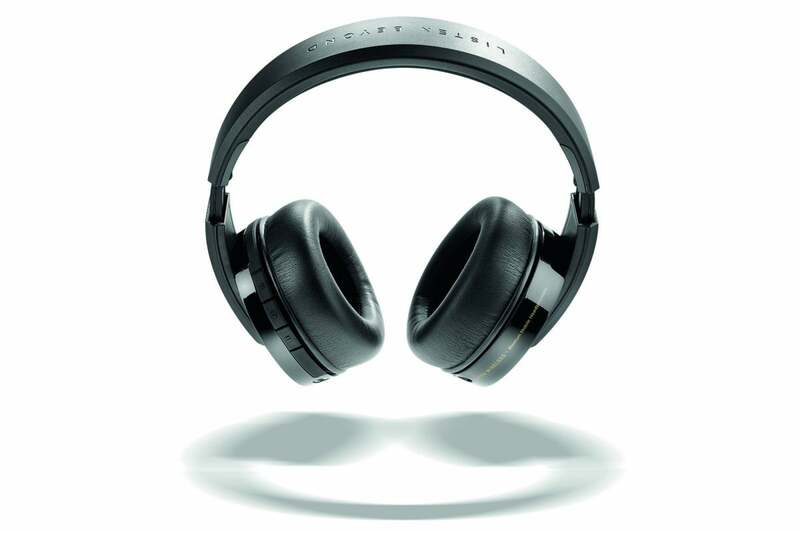 Even with the Listen Wireless’ foldable design, they are a tight fit within the Focal-branded case. There aren’t any pockets in the case, which makes it easy for cables to slip out. I wish Focal had provided that simple luxury. The Listen Wireless come with a soft-shell carrying case and an assortment of cables. I tested the Focal Listen Wireless with an iPhone 7 along with the Sony Walkman NWZ-A17 and Pioneer XDP-100R high-res audio players. The latter two players are aptX-compatible and confirmed their aptX connection when paired. Source material included some AAC-encoded files and Apple Music streams, but I focused primarily on high-res source files in FLAC and ALAC lossless formats. Using the wired connection, I fired up the 24-bit/192kHz version of the Star Wars: The Force Awakens soundtrack. I liked the way the Focals created the orchestral space with separation for each instrument. The midrange was well defined. Brass instruments were cleanly rendered without any overt top end roll off or, conversely, being overly bright. Turning to the 24-bit/88.2kHz FLAC version of Pink Floyd’s Wish You Were Here, from the eponymous classic, I noted that there was excellent separation between David Gilmour’s vocals and his bandmates' instruments. Nick Mason’s kick drum had a good punch to it. The recording came across clean and demonstrated—perhaps above all else—the Focal’s ability to present a recording’s musicality without becoming analytical. Firing up the 24-bit/96kHz hi-res version of Led Zeppelin II reinforced all my observations and sealed the deal. 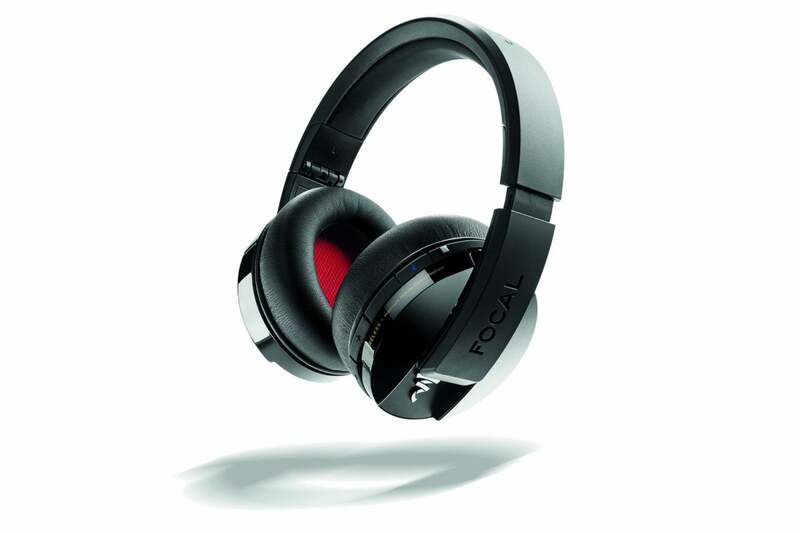 Focal Listen Wireless are over-the-ear headphones. For me, any headphone or audio system must pass muster with female vocals. The Focal Listen Wireless did just that. I played a repertoire of Adele, Holly Cole, Dido, Loreena McKennitt, Sarah McLachlan and Patricia Barber (to name just a few). In particular, I really enjoyed getting into Natalie Merchant’s Ladybird. The Focal Listen Wireless beautifully rendered Merchant's rich vocals. I closed my eyes and just enjoyed track after track. 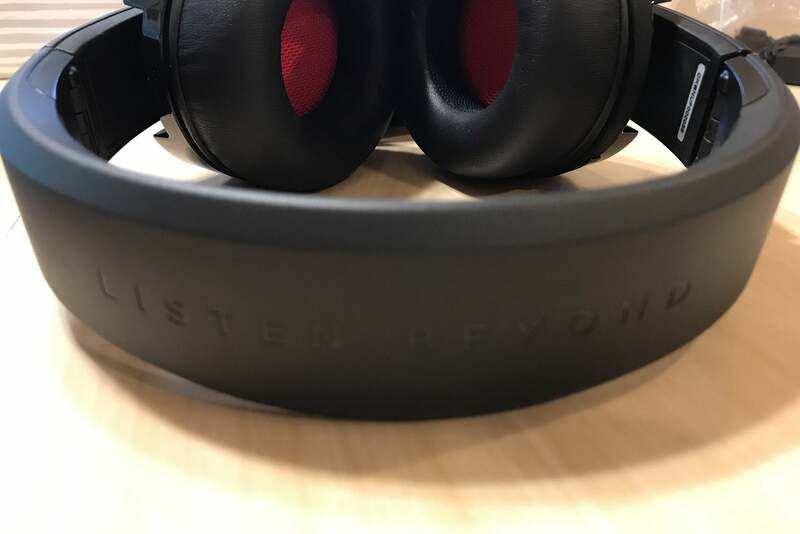 Don’t think for a moment that the wireless connection can come close to the headphone’s wired refinement. It can’t. When shifting to a wireless connection with aptX, the bass became sloppier with less control, the midrange muddied, and the top end lost its shimmer. Out of curiosity, I also happened to have one of Focal’s far more expensive headphone models on hand for a forthcoming review. That headphone has a retail price in the thousands. Comparing the two was no contest. The more expensive Focal was in a league of its own. That model had an outstanding level of transparency, refinement, detail, microdynamics, and control over the same source material to a degree that has to be heard to be appreciated. As a nod to the Focal Listen Wireless' sonic prowess, however, you could clearly tell that there was a common heritage between the two. Focal has produced a headphone at the $300 price-point that pays sonic homage to the company’s high-end pedigree, especially when wired. They'll give you a taste of the good life. 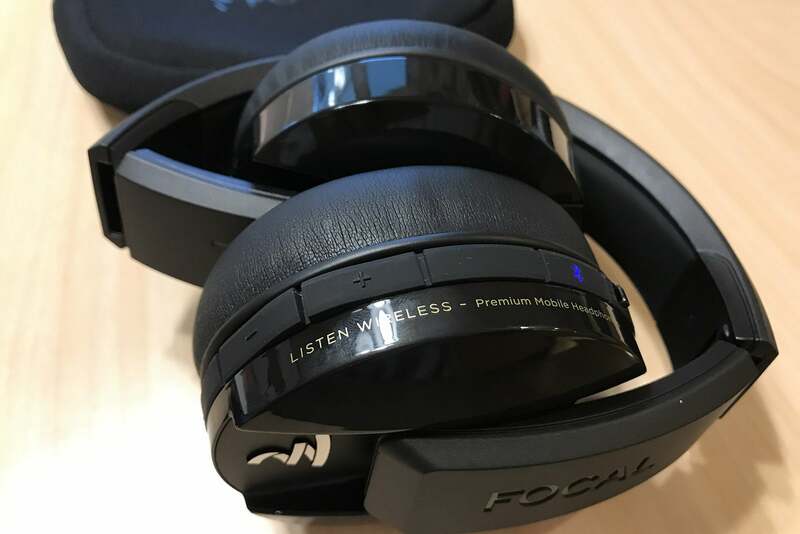 Focal's Listen Wireless headphones deliver the sonic goods when tethered.